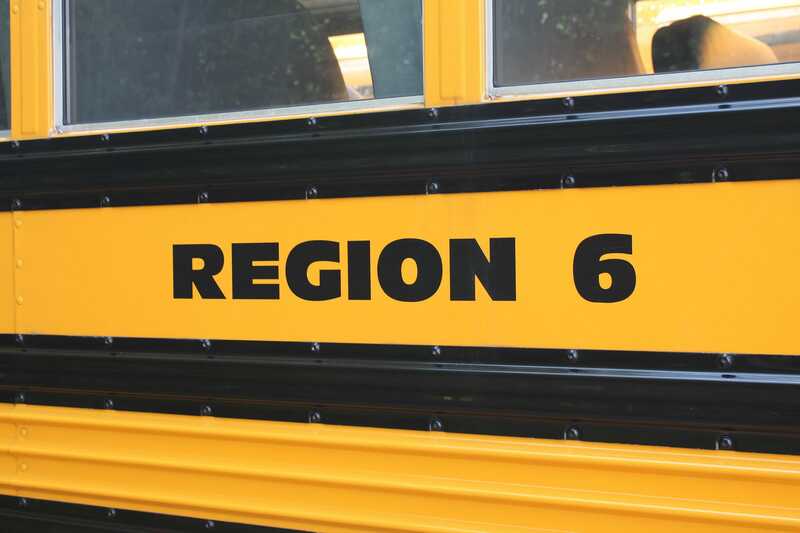 The school bus routes for the Region 6 Schools are listed under the school that your student will be attending. You can find bus routes here. Residents are asked to share issues or concerns with their child’s bus stop location by calling All-Star Transportation’s Litchfield office at 860-567-4237. NOTE: Bus schedules are subject to revisions that result from enrollment changes, transfers and address changes. Changes and/or additions will be posted to the school district’s website and residents are encouraged to frequently check the Region 6 website. Please do not worry if a bus is late, especially at the start of a school year when it typically takes a few days for kindergarten children and new students to become accustomed to the bus routes and schedules. If, however, you have concerns about your bus being consistently late over a period of several days, please contact the Litchfield office at 860-567-4237. PM Session: 12:50 p.m. – 3:30 p.m. Listed below are the school hours for early dismissal and delayed openings. More information is available here. Wamogo High School – 9:23 a.m.
Goshen Center School – 10:55 a.m.
James Morris School – 10:55 a.m.
Warren Elementary School – 10:55 a.m.
PM Session – 12:50 p.m.
Wamogo High School – 12:15 p.m.
Goshen Center School – 1:25 p.m.
James Morris School – 1:25 p.m.
Warren Elementary School – 1:25 p.m.
AM Session – 10:30 a.m.
Students attending Oliver Wolcott are transported by bus to school. They are picked up and dropped off at designated stops. Bus routes are posted prior to the start of each school year. The bus transporting Warren and Morris students is dispatched by the Litchfield terminal. The bus for Goshen students is dispatched from All-Star’s terminal in Lakeville. In the event Region 6 schools close due to inclement weather, no bus transportation will be available for Oliver Wolcott Technical High School students. Should Region 6 Schools have a delayed opening, bus service will be delayed 2 hours, even if OWTS opens on a regular schedule. Region 6 has an established procedure for changing bus drop offs. If you need to change the location where your student is dropped off, parents/caregivers must provide a note to their student’s teacher and / or bus driver. In the event a permanent change to a pick-up and drop-off schedule is needed during the school year, Region 6 policy requires that a written request be submitted to your student’s school principal in advance of such a change. Students in kindergarten must be met at the bus stop by a parent, known adult or older sibling. If no parent, known adult or older sibling is at the bus stop, children will be transported back to their home schools. If a family chooses, a waiver may be signed that will allow a first- through fourth-grade child to disembark from the bus, even if no adult is there to meet the children. Please check your child’s school web page for the complete procedure and download the waiver. No waiver will be accepted for a kindergarten student – an adult or older sibling must always be present. If you have questions, please e-mail [email protected] or call All-Star Transportation at 860-567-4237. If you have any questions, please contact All-Star Transportation’s Litchfield office at 860-567-4237.